•	What’s the business case? What metrics are appropriate? •	How are organizations addressing governance, compliance and cultural issues? 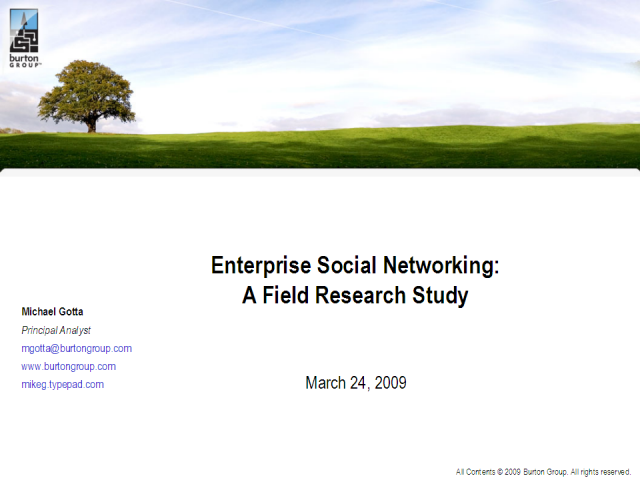 •	How are IT organizations approaching social networking tools and platforms?